Tilray Inc. ( TLRY ) saw its revenue climb more than 200 percent year-over-year in its fourth quarter to $20.9 million, topping analysts expectations. The company said its plan now is to shift investment dollars to the United States and Europe, where there is more long-term opportunity than Canada. The Nanaimo-B.C.-based cannabis producer realized a net loss of US$31 million or $0.33 per shares, more than double the $0.15 per loss forecast by analysts polled by the Thompson Reuters’ Refinitiv service. Monday’s financial results mark the first full quarter for the company post recreational pot legalization in Canada. Adjusted EBITDA was a loss of $17.8 million, compared to a loss of $2.1 million the prior year period. Tilray blamed rising operating expenses related to growth initiatives, expansion of international teams and costs related to financings and M&A activities. Kennedy said Tilray has the potential to become a “multibillion dollar consumer packaged goods company.” He added that the Manitoba Harvest acquisition will give consumers what they want: relationships with brands they already know and trust. He said Tilray is looking to secure additional paths to get non-psychoactive CBD products to the U.S. market before the end of the year, and announce additional sources for U.S. CBD in the coming months. In Europe, Kennedy hopes to cash in on the medical side, in particular jurisdictions like German where cannabis is subsidized by the government. Kennedy also updated his outlook for Tilray’s partnerships with Authentic Brands Group and beverage giant Anheuser-Busch InBev ( BUD ). He said Tilray will work with the owner of Nautica, Aéropostale, Juicy Couture, and Vince Camuto to bring hemp-derived CBD products to retailers by the end of the year. As for AB InBev, he said he hoped the joint venture would expand beyond Canada. “Neither party hopes of that agreement is just for R&D in Canada,” he said. “So clearly, there is an interest and desire to potentially expand that agreement in the future. 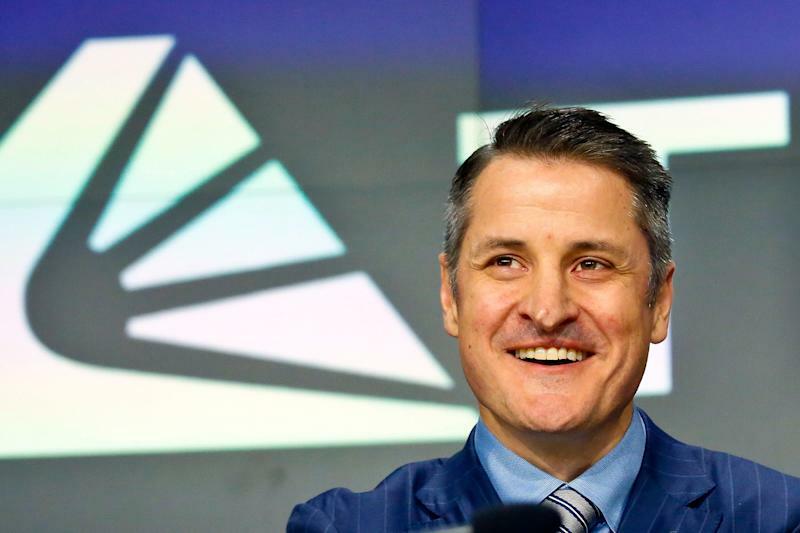 Tilray nearly tripled the kilogram-equivalents sold in the fourth quarter, 2,053 versus 694 kilograms in the prior year period. The average price per gram rose five per cent from a year ago to $7.52. The company was criticized for failing to participate in Canadian recreations sales in its third quarter, and acquiring supply from third parties. Kennedy said supply and demand might not even out for another 18 months. Gross margin for the fourth quarter decreased to 20 per cent from 57 per cent in the same period last year as a result of procurement of third-party supply, cost related to ramping up our production and absorbing the tax for our medical patients. For the full 2018 financial year, Tilray reported revenue of $43 million, up 110 per cent from the previous year, and net loss of $67.7 million compared to $7.8 million in 2017. NASDAQ-listed shares climbed 4.51 per cent to $75.54 in post-market trading at 4:27 p.m. ET. Download the Yahoo Finance app, available for Apple and Android .